Admission is free. Reservations required. RSVP beginning Thursday, January 24, at 9 a.m. Explore the way race shapes our lives and our world in a RACE RELAY discussion forum. As a follow-up to an interactive theatrical production presented February 8 through 10, this community dialogue will offer a space for open reflection on identities, attitudes, and feelings about race, one of the defining aspects of our society and our individual lives. 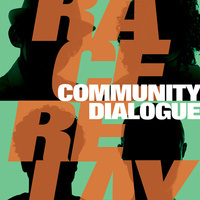 Our dialogue will open with a Virtual Reality experience, as an immersive starting place for empathetic and meaningful discussion, and be facilitated by RACE RELAY writer Denise Hamilton with Fred Sugerman and Christo Pellani. Friday, February 8, 2019, at 7 p.m.
Saturday, February 9, 2019, at 7 p.m.
Sunday, February 10, 2019, at 2 p.m.
Saturday, March 2, at 12 p.m. Presented by USC Visions and Voices: The Arts and Humanities Initiative. Co-sponsored by the California African American Museum. Organized by Anita Dashiell-Sparks (Dramatic Arts), LaVonna B. Lewis (Public Policy), and Helaine Head (Cinematic Arts).